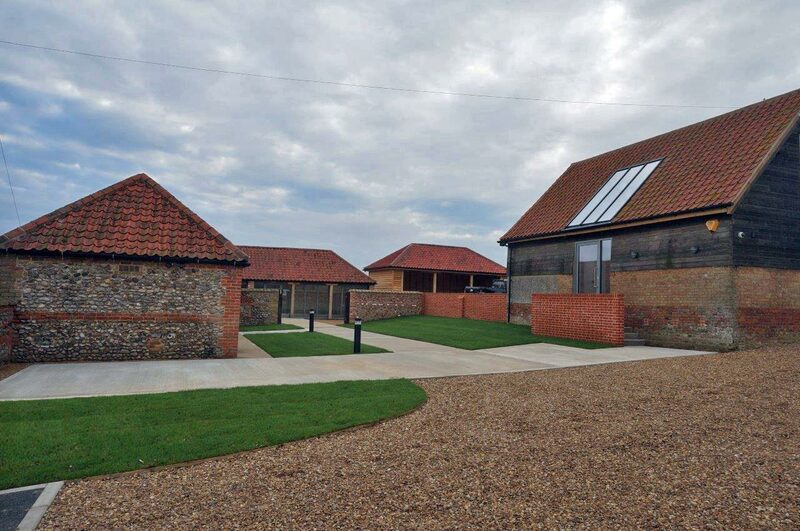 Conversion of a former office and store into two separate offices, Hill Farm Barn and Julings Barn. Site works started in April 2017 and were completed in October 2017. Hill Farm Barn is a former cattle yard which has been converted into contemporary open-fronted offices which overlook the entrance court. Julings Barn is the new office for Holkham National Nature Reserve. The new first floor office was inserted into the former storage building. New windows and roof glazing provide unrivalled views across the Nature Reserve.